Woodbridge Car Detailing – Wash Me Now. A thriving community of the City of Vaughan, Woodbridge is home to more than 100,000 residents. With plenty of green spaces, schools, and several local landmarks, it’s no wonder this area has shown such growth. Like other nearby communities, Woodbridge experiences hot, humid summers as well as cold, snowy winters. Both of which can affect your vehicle inside and out. The hot summer sun can damage the paintwork of your car, and the harsh winters can cause leather upholstery to crack. The good news is that these problems can be prevented by regular professional mobile car detailing. At Wash Me Now, we offer a number of mobile services which means that Woodbridge car detailing has never been more convenient! 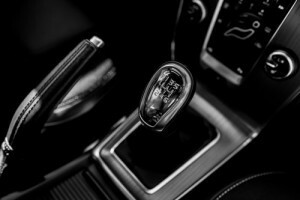 Whether you drive your car on a daily basis or somewhat less regularly, dirt will find a way of attaching itself to the interior and exterior of your vehicle. If left unchecked, this dirt can cause further damage such as scratched paint and grubby carpets. Fortunately, our team has all your Woodbridge auto detailing needs covered! Not only are we experienced in detailing various types of vehicles, but we are also completely mobile. So, whether you need a quick exterior clean or a full showroom style detailing package, our team does it all! We understand just how important quality is to Woodbridge residents. This is why we offer a 100% satisfaction guarantee on all auto detailing in Woodbridge. Our team takes this guarantee extremely seriously, and we work meticulously to ensure perfection. It is thanks to our passion and respect for cars that we are able to offer services that are superior in every way. Life in Woodbridge is as busy as any other neighborhood in Vaughan. With so much to do and a limited amount of time in which to complete daily tasks, cars can easily become somewhat neglected. It is this very reason that made us realize just how important it is to provide fully mobile Woodbridge auto detailing. Simply provide us with your address and we will come to you! Have your car detailed while you’re at work or home! There’s no need to drive to us when we come to you! Wash Me Now is proud to have brought smiles to the faces of many vehicle owners throughout Woodbridge and other neighboring areas. We encourage everyone to take a look at our reviews and find out for yourself just how happy our customers are. As you drive around Woodbridge, you cannot help but notice the beauty of such areas as the Boyd Conservation Area and Rainbow Creek Park. We understand the impact of excessive water usage and harsh chemicals. This is why we use steam cleaning and nothing but the best cleaning supplies. The next time you need your car detailed, call Wash Me Now for the eco-conscious choice. Steam cleaning offers two main benefits. Not only does steam kill harmful germs, but it also reduces the amount of water used during the cleaning process. Unlike other cleaning methods, steam requires minimal water for maximum results. Not only do our Woodbridge packages cater to various budgets, but they also appeal to various needs. For example, you might only need the exterior of your vehicle detailed, or you may need your interior leather treated before winter. No matter your needs, you can find the right package at Wash Me Now. In addition, we also offer optional extras such as headlight restoration and pet hair removal. Your time is limited, and we fully understand this. Who wants to spend time washing their car or waiting for their car to be detailed? This is why all of our packages include duration estimates. When you book your Woodbridge vehicle detailing package, you will see the amount of time needed from start to finish. With experience detailing various types of vehicles and our 100% satisfaction guarantee, it easy to see why Wash Me Now has more than 100 5-star reviews! 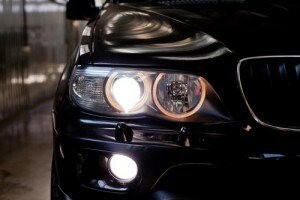 For more information on our mobile car detailing in Woodbridge and various packages, click here! Book Your Appointment Today at (647) 607-5199 !